In the waterfront habitats of the Rupert river and diversion bays, a team studies the forest birds to establish the nesting status and estimate the density of the breeding populations. 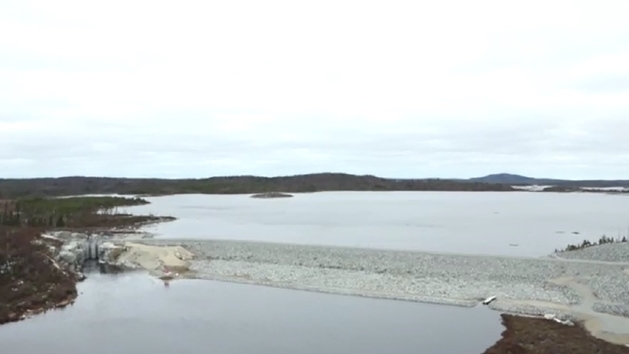 In the Rupert estuary and bay, a team studies the water levels and the limits of saltwater intrusion to see if the changes brought about by the partial Rupert diversion are having an impact on the location of the freshwater-saltwater interface. 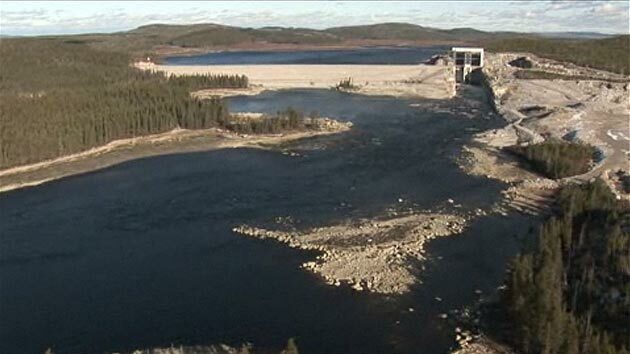 The Cree–Hydro-Québec monitoring committee is an important forum for addressing environmental issues. 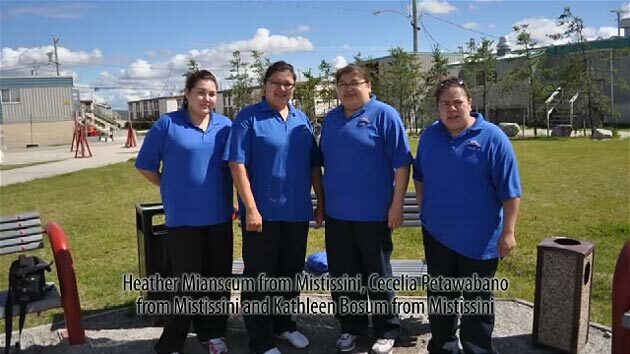 The 100th meeting of the committee took place in the community of Mistissini. To mark this milestone and celebrate the work accomplished to date, a feast was held with the tallymen and their families. Using net fishing on the reduced-flow stretch of the Rupert, a team monitors changes in fish communities by documenting the biological characteristics, composition and fishing yields of the different fish populations. 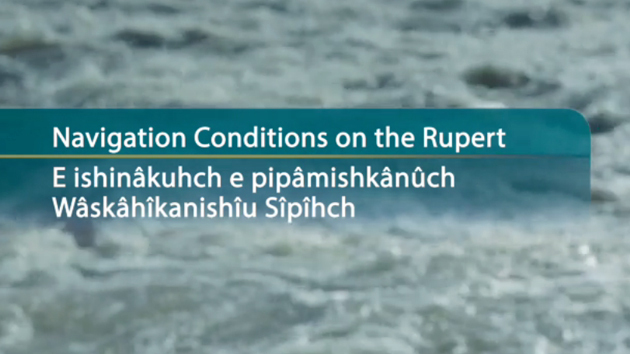 In the estuary and mouth of the Rupert, a team assesses the impact on small wildlife of the decrease in organic carbon input following the partial diversion of the Rupert. Based on catches from net fishing, the team studies the growth and diet of the longnose sucker, which feeds mainly on invertebrates living at the bottom of the river. 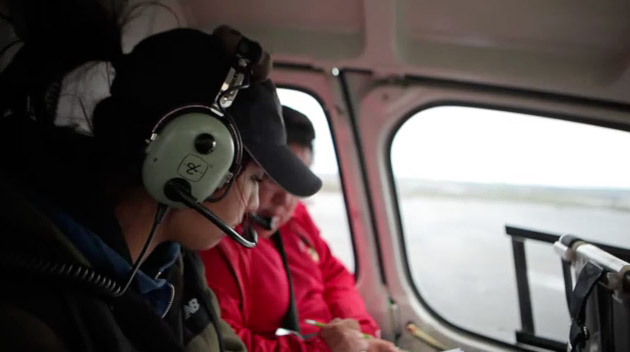 In the reduced-flow stretches of the Rupert River, a team conducts ground surveys and helicopter flyovers to assess the appearance of the banks and monitor changes. The data collected is used to complete the follow-up of riverbank dynamics and to update riverbank maps. Along the Rupert, a team assesses how the reduced flow affects the landscape. They analyze landscape components and the visual impact of hydraulic structures and the seeding of the banks. They also study what Crees and visitors think of the landscape. In the area of the Rupert River and Rupert diversion bays, a team monitors changes in riparian and aquatic vegetation. They survey the plant communities along a transect to determine its profile. The same transects are surveyed over several years to assess the changes in vegetation. 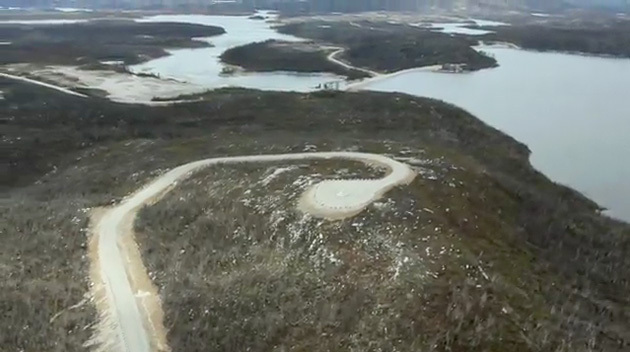 To assess navigation conditions in the Rupert diversion bays, a team conducts helicopter flyovers and travels on the river, identifying constraints in the navigation corridors. A map is then produced to support the navigation activities of the Crees. 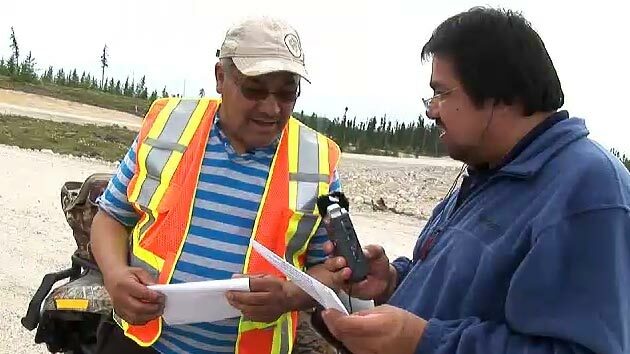 At the foot of the generating stations on the Eastmain river, a team studies fish communities following the changes to the aquatic environment that resulted from the commissioning of Eastmain-1-A generating station. Using net fishing and laboratory measurements and sampling, the team assesses fishing yields and describes the characteristics of fish communities. Using aerial and ground transects for observation, a survey team conducts a follow-up on birds of prey, short-eared owl, great grey owl and Bonaparte's gull by identifying the breeding pairs or nests in the area of the diversion bays and the reduced-flow stretch of the Rupert. In the Rupert and Nemiscau rivers, downstream of the diversion bays, a team in charge of collecting water samples visits 23 sample stations by helicopter. The samples are then sent to the laboratory for analysis to monitor changes in the color, turbidity and suspended solids in these rivers. 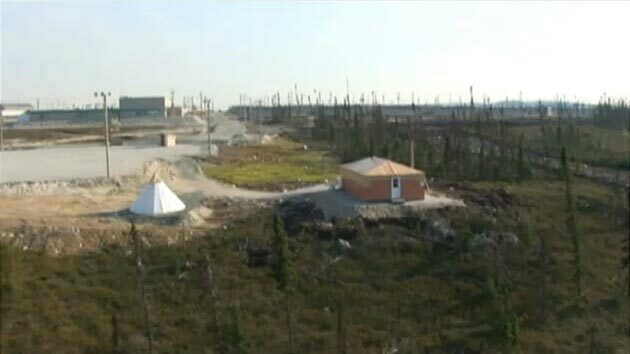 Upichiwin belvedere was built near La Grande-1 powerhouse in collaboration with the Chisasibi Cultural Centre. 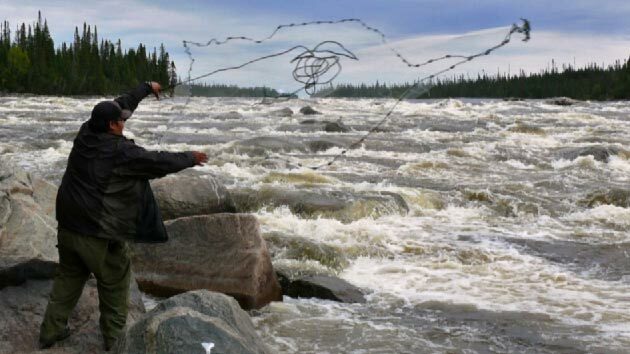 This site commemorates the Upichiwin rapids, which used to be an important meeting place and fishing spot for the Cree community in Chisasibi. When the belvedere was inaugurated in fall 2015, five interpretive panels highlighting the rich history of the site were unveiled during the ceremony. 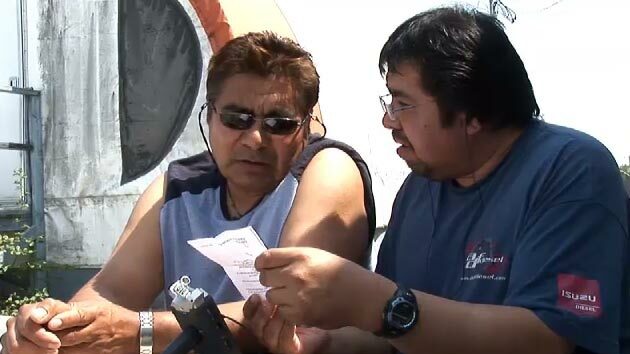 To ensure that activities run smoothly, a team is in charge of fieldwork logistics and relations with Cree workers. 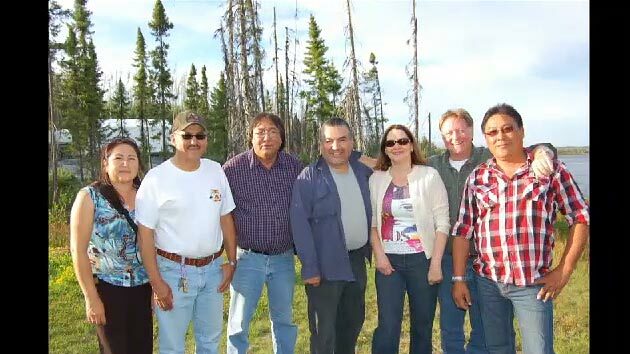 This team supports consultant teams with their equipment and travel needs and is in charge of recruiting and hiring the Cree workforce. Thanks to his professionalism, commitment, people skills and rigor, Sidney Loon made a huge contribution to the success of this important team. 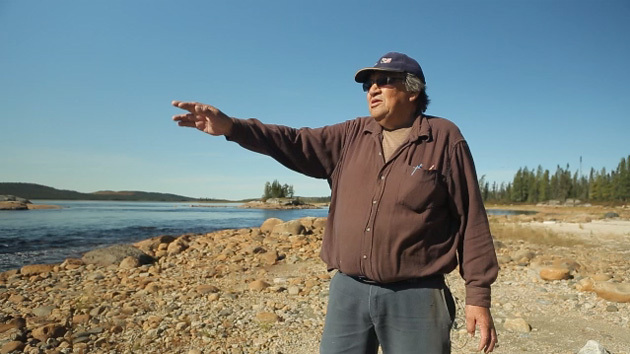 When Rupert Bay is iced over, Waskaganish residents use it to go fishing and hunting. To understand the objective of ice monitoring, listen to Ryan Erless, Monitoring Committee representative, Gordon Weistche, worker, and Tristan Aubel, consultant. Downstream of Sarcelle powerhouse, a team gathers drift material to check on the integrity of the large developed spawning ground. Afterwards, to measure the use of the spawning ground, the eggs and larvae collected will be sorted, counted and identified in a laboratory. 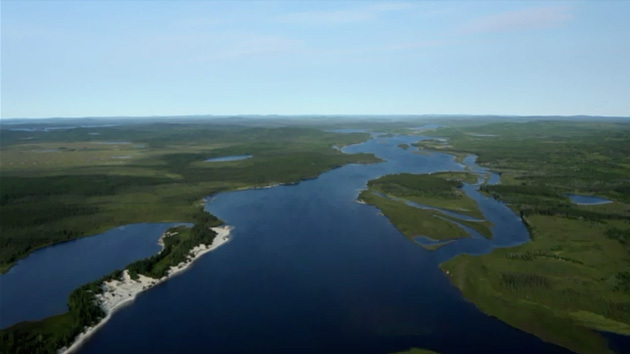 As part of the Eastmain-Sarcelle-Rupert complex, cisco was monitored for eight years through environmental follow-up activities. 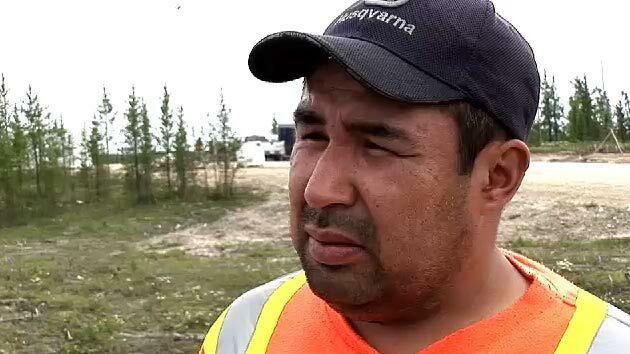 A large number of Cree workers from the community of Waskaganish were involved in this work.To mark the end of the cisco follow-up, the community organized a feast to thank the workers and highlight the importance of the work carried out. In the area of the Rupert diversion bays, five multispecies spawning grounds were developed downstream of the instream flow release structures. To check the physical integrity and use of these spawning grounds, fish eggs and larvae are harvested from the river and taken to the laboratory for sorting and counting. Downstream of the natural spawning grounds at Smokey Hill, a team collects cisco larvae that are drifting towards Rupert Bay. In the lab, a team counts the larvae to assess the breeding success of the cisco. 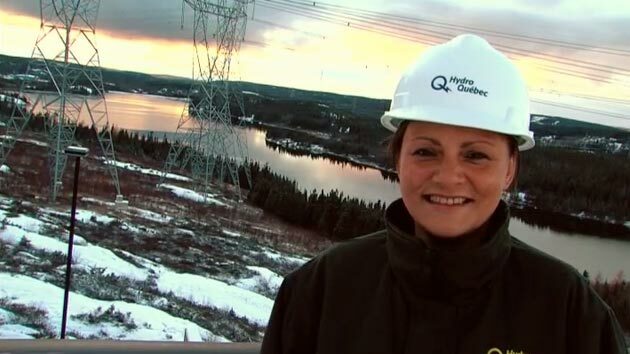 To facilitate the integration of new Cree employees, Hydro-Québec has set up a coaching program pairing Cree recruits with seasoned workers. 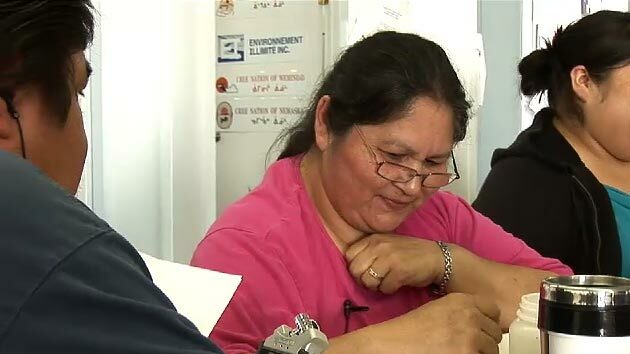 During the annual meeting of the Cree employee integration committee, a cultural activity was held in the community of Chisasibi to teach the program's coaches about Cree culture. 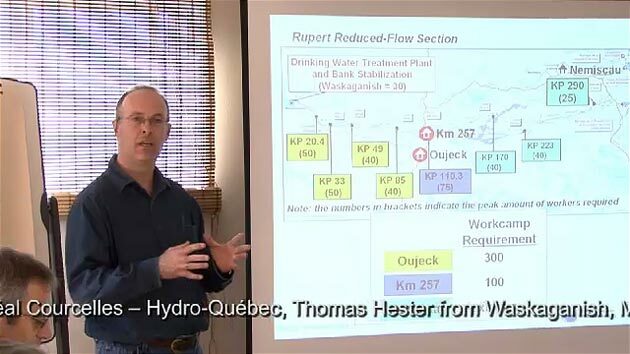 Under the Eastmain-Sarcelle-Rupert Complex, a committee was created to adequately manage the ecological instream flow regime downstream of the Rupert's spillway. 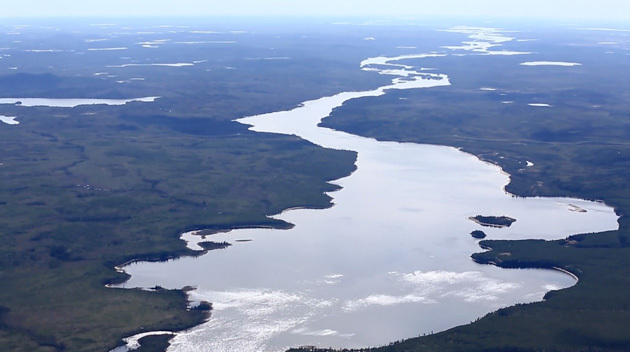 Made up of Cree and Hydro-Québec representatives, the Rupert River Water Management Board is responsible for making recommendations to maintain the ecological instream flow, thereby ensuring fish habitat conservation and the continuity of Cree activities on the Rupert. 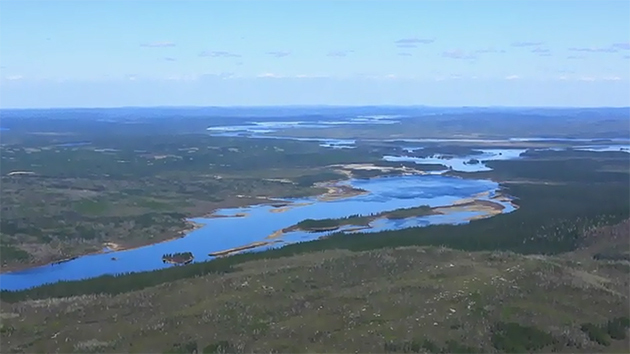 The Cree–Hydro–Québec Monitoring Committee was created to adequately manage the environmental follow-up program related to the Eastmain-Sarcelle-Rupert complex. 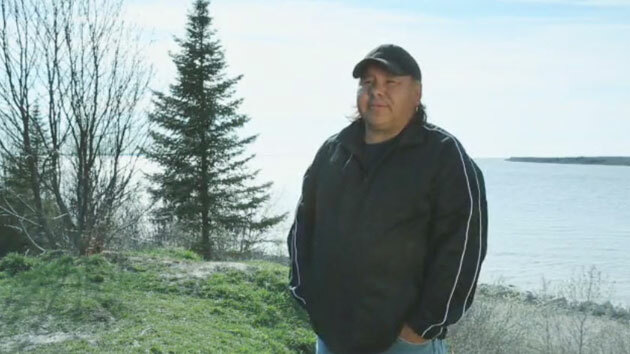 The committee is in charge of making sure that Crees are actively involved in the follow-up activities, collecting the environmental concerns of land users, and disseminating information on the studies and programs to the Cree communities. 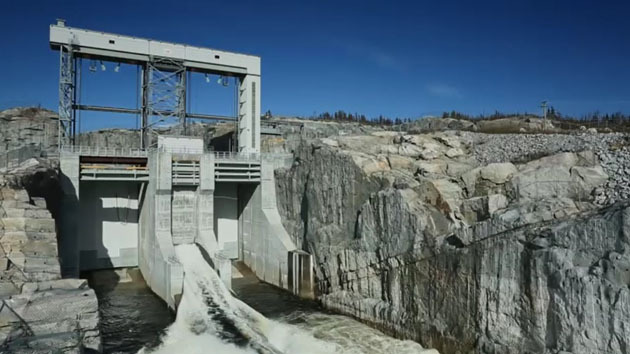 Five years after the partial diversion of the Rupert River, a commemorative site was inaugurated near the main dam. In the fall of 2014, a beautiful monument was unveiled which pays tribute to the Cree people who used the river and to the lands that sustained them for thousands of years. Following the partial diversion of the Rupert River, a team measures beaver activity in the Rupert's diversion bays and on its banks. They count the active and inactive colonies and record the signs of occupation. In the areas affected by the partial diversion of the Rupert, a team follows the evolution of fish mercury levels. 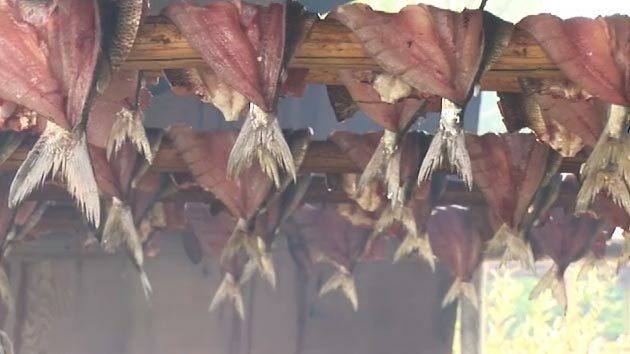 In light of the results, we produce a fish consumption guide in collaboration with the Cree Board of Health and Social Services of James Bay to promote the benefits of healthy fish consumption to Crees. Along two stretches around KP 205 and 230 of the Rupert, each about 10 km long, a team studies juveniles of targeted species while making sure their growth habitats are intact. 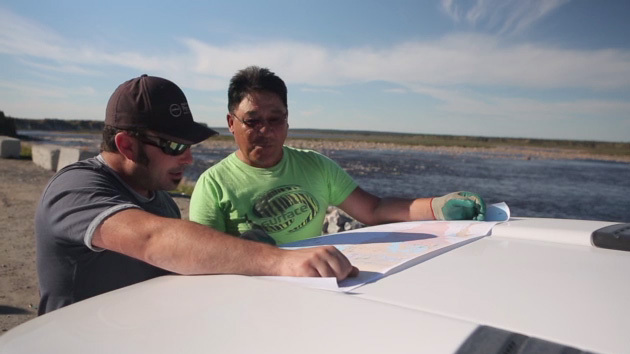 A team verifies the navigation conditions on the Rupert to draw up their profile and assess the effectiveness of the mitigation measures implemented. After analyzing the data collected, the team produces a map to help Crees continue their navigation activities. In the Rupert diversion bays, changes in fish communities are closely monitored by a field team whose work consists of describing the composition, abundance and biological characteristics of fish populations for the Crees. In the reduced-flow stretch of the Rupert, two immense natural spawning grounds can be found just below major rapids. These areas are extremely important for the Crees. Studies are under way to determine the rate of spawning success and the reproduction calendar for certain species. 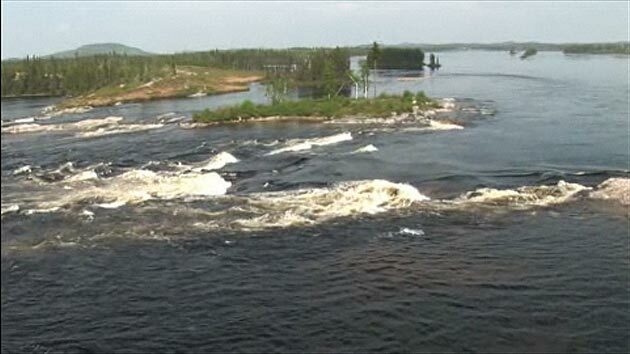 On the Rivière Rupert, the spring and fall ecological minimum flow regime was put in place to help fish spawn. All along the river, teams measure sturgeon spawning success rates in natural spawning grounds by assessing their physical condition and counting the number of eggs. 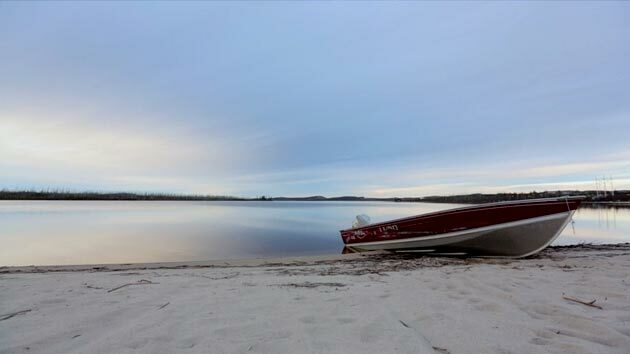 Spring brings an explosion of life to the Baie-James region. A team of observers, with help from tallymen, conduct aerial surveys to determine the number and distribution of nesting waterfowl and broods while taking great care not to disturb hunters. Hydro-Québec consultants, accompanied by tallymen, carefully fly over the Rivière Rupert and the diversion bay section. Their objective is to assess the use of riparian habitats by small game following the partial diversion of the Rupert. They count the different species, many of which are important for hunting and trapping. Following the partial diversion of the Rivière Rupert, the wildlife had to adapt to new habitats. 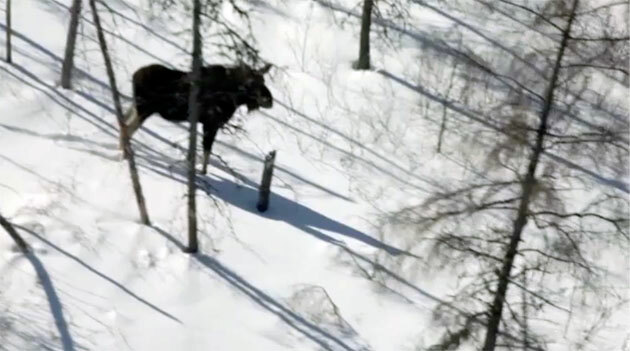 A team carried out a flyover of the Rivière Rupert and the diversion bays to study the presence of moose, which is an important animal for the Cree. The tallymen participate closely in the work. Brook trout spawning grounds were developed in certain Rupert tributaries. 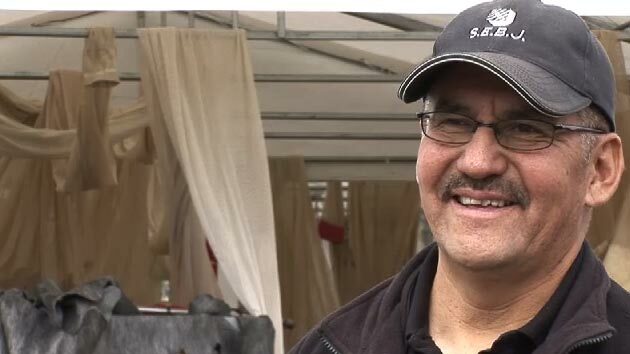 For more information, listen to Walter Joly, Leslie Tent and Lawrence Jimiken talk about this environmental follow-up activity and brook trout fishing. Two migration channels were built to maintain the free movement of fish following the partial diversion of the Rivière Rupert. A team makes sure that the structures are stable and that they respect natural flow conditions. For more information, refer to the explanations by Lawrence Jimiken, Luke Tent and his son, Leslie. 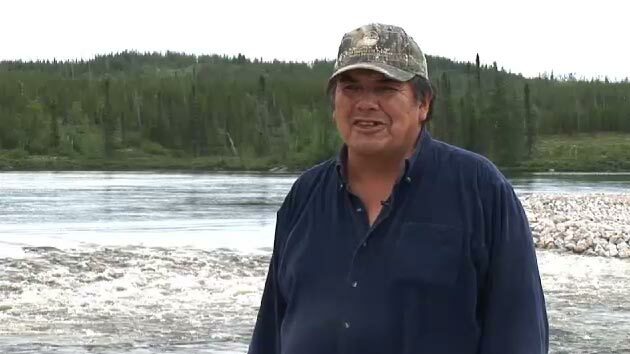 Jimmy Neeposh, from Mistissini, has worked in hydrometry for the past 15 years. 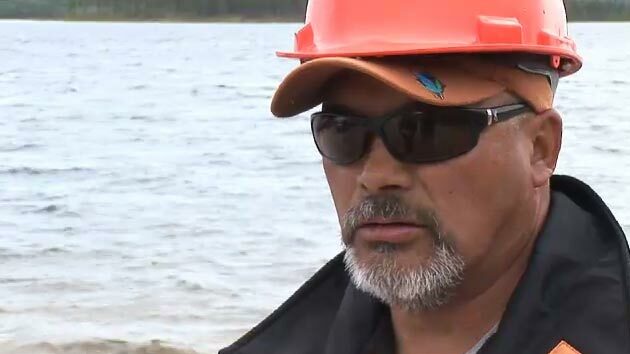 Jimmy explains his role in the environmental follow-up activity during maintenance work at the hydrometric stations in Waskaganish Bay and the Rupert River. 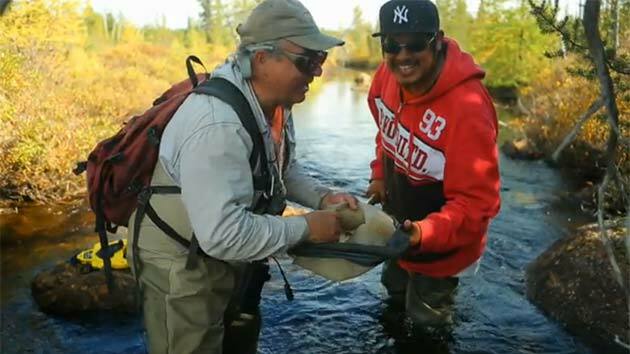 Lake sturgeon fishing is deeply rooted in the traditional Cree culture, particularly in the Nemaska community. A voluntary lake sturgeon catch registry was put in place to help preserve this fish species. 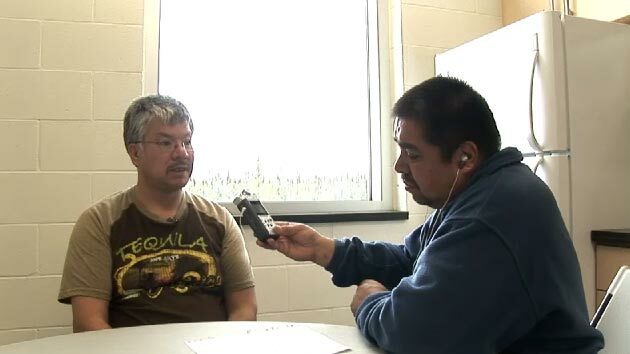 Jimmy Blackned, lake sturgeon registry monitor, and Lawrence Jimiken, who represents Nemaska on the Monitoring Committee, explain how the program works. 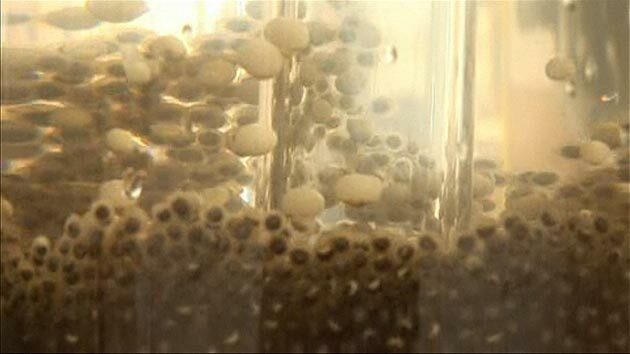 One of the elements studied in the environmental follow-up on lake trout spawning grounds is the presence of eggs. 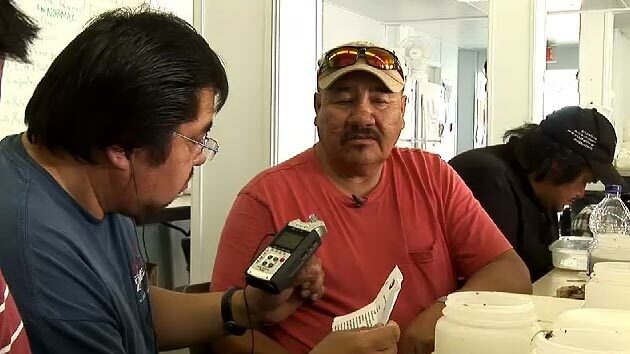 Tallymen Matthew Iserhoff and George Neeposh present their role in this follow-up as well as the importance of lake trout for their community. 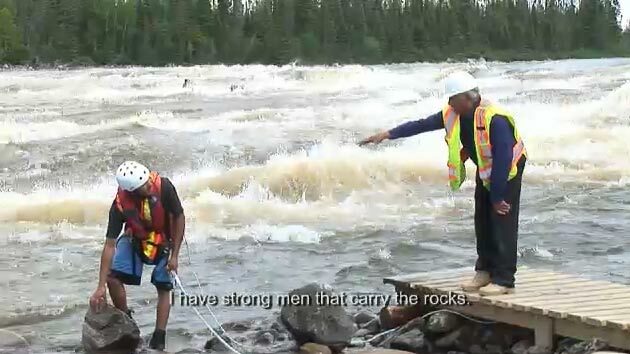 Visit the Eastmain River in the company of Kaweshekami Environnement technicians Timothy Moses and Robert Dumont. 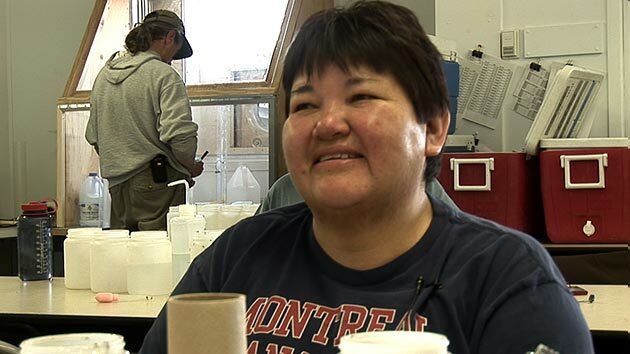 They explain how Cree traditional knowledge and science complemented each other during the follow-up on the use of whitefish spawning grounds. 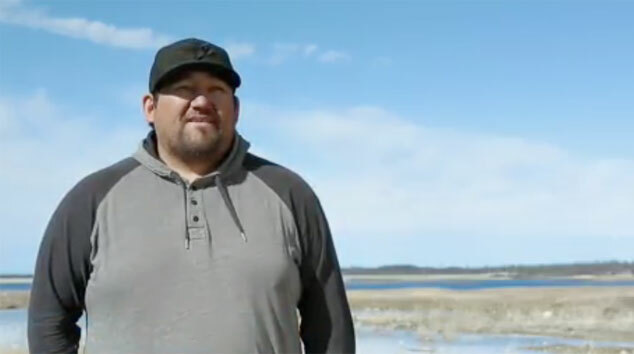 Ryan Erless explains the Waskaganish voluntary cisco catch program, which is managed jointly by Niskamoon Corporation and the community of Waskaganish. Clarence Cowboy, Alex, Florrie and Georges Katapatuk take us through the ABCs of traditional activities related to cisco. On the menu: preparing and cooking cisco and how this traditional knowledge is shared between elders and young Crees. 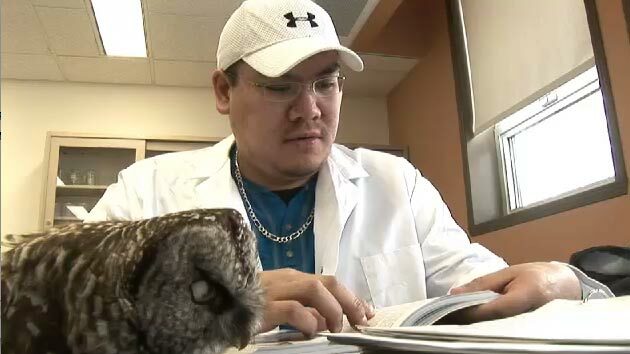 Many environmental follow-up activities are about cisco, a fish species highly valued by the Cree community of Waskaganish. 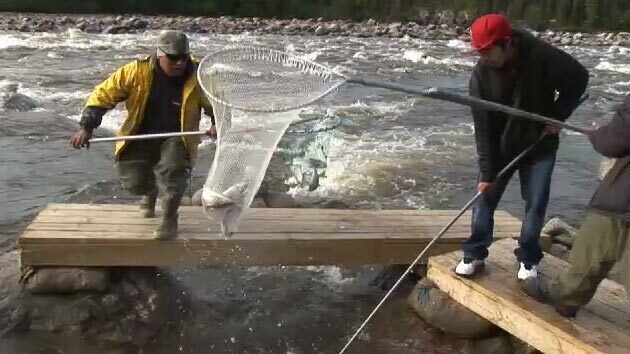 Filmed at Smokey Hill, this video allows us to experience dip-net fishing with two Waskaganish residents, Ricky Weistche and his son, Anson. 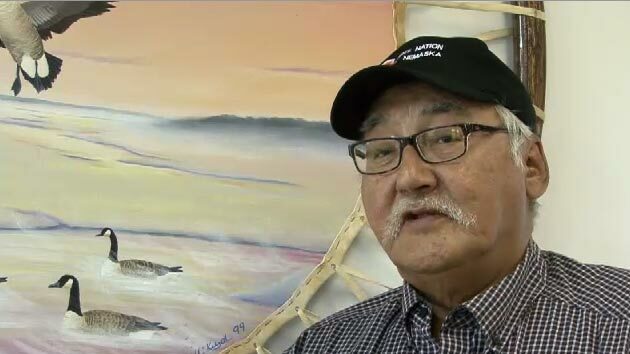 It�s a great example of how traditional cisco knowledge is passed down through generations. 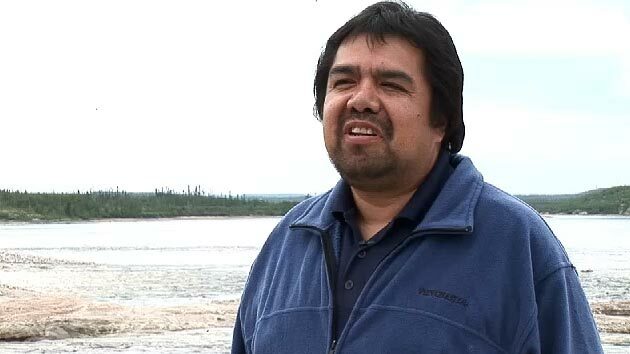 "The new Waskaganish drinking water plant is a lot better because we can treat more water. With the old system, the water used to run out. The plant was too small." 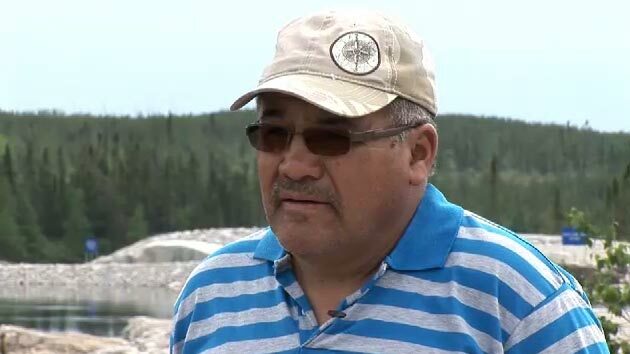 Alfred Wapachee, a reporter with JBCCS (James Bay Cree Communications Society) radio, is touring the structures built for the Eastmain-1-A—Sarcelle—Rupert project. 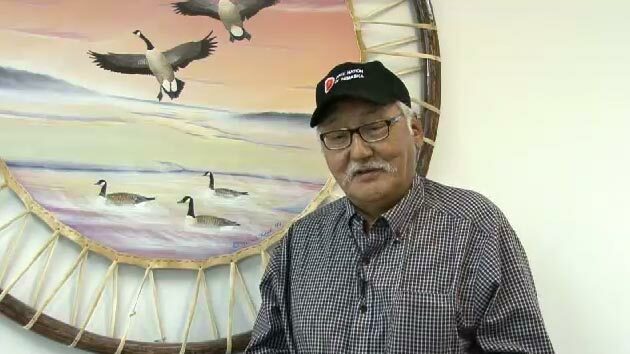 While conducting his interviews for the program Hydlo & Friends, he shares his thoughts: "I never expected this. Everything seems to be in good shape. I thought the land was ruined." "I've done lots of different jobs, but I can't name them all. It's the same for my friends and family who have worked on this project-too many to name them all." "I'm proud of these contracts. With this project, people are working and earning money." "We keep track of the fish and eggs. My children are working with us here. The more I learn about my job, the more I enjoy it and the prouder I feel." "I enjoy working and learning new things. I also like meeting lots of people and making new friends." 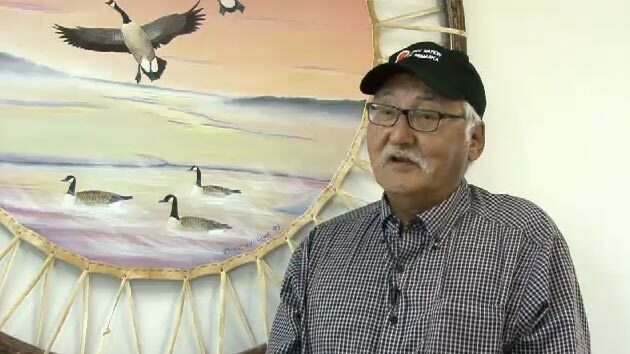 "Every morning, we fly out by helicopter and cast nets in the lake to catch fish. I like all the tasks I've been given. I see the work through to the end and I'm really proud of it." 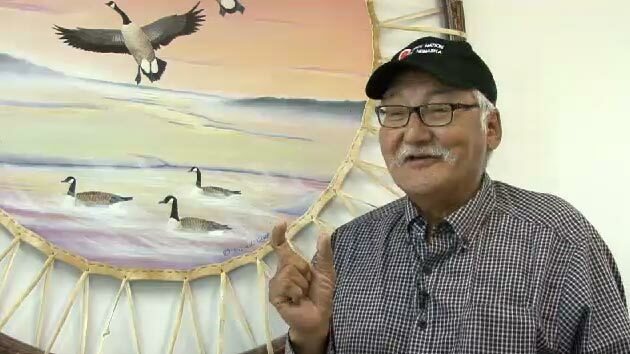 "I know many people from Mistissini who've worked here. I hope we'll have jobs for as long as the dam exists, and I hope Kenny Jolly gets more contracts." 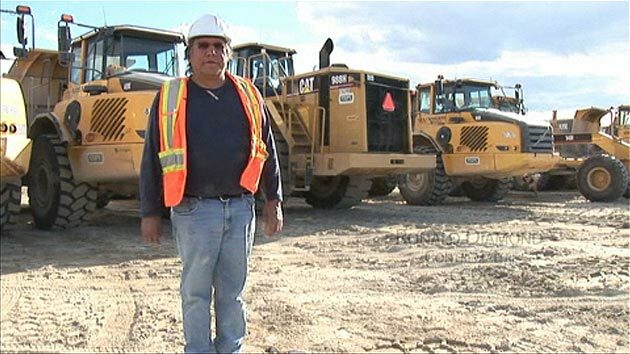 "I worked on a slashing contract for Robert Jimiken and Matthew Wapachee. I also worked in different places for the Eenatuk Forestry Corporation. Many of my friends have come to work here in the camps. Even my siblings have worked here." "We get to meet people from different villages and towns, Natives and non-Natives, and we become friends over the course of the project." "From the start, I've had different types of contracts. No matter the size of the contract, I've always enjoyed working here on the land where I used to go hunting and trapping. This project has helped many families. It's met their needs and given them work." The Walking Out Ceremony officially welcomes small children who have just learned to walk into the community. It's an opportunity for toddlers to learn respect for nature and animals and to take on their future role in society. I want to protect the environment! 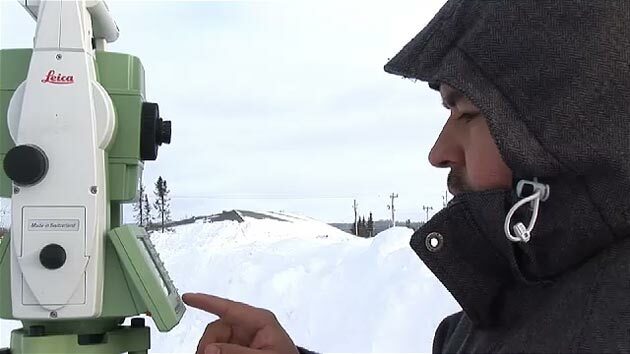 Meet students enrolled in the new Natural Environment Technology Program in Chibougamau. These young Jamesiens and Crees want to discover the secrets of the earth, plants, and ecosystems of their territory. After this training, they'll be able to work in their region and participate in forestry, mining or hydroelectric projects. Memories of Eastmain-1-A and Sarcelle workcamps. Learn about those working behind the scenes, people who contribute, in their own ways, to the success of the projects and to quality of life on the jobsite. See the "magic eraser" and listen to the story of the wolves who loved airplanes. Welcome to the recording studio where Hydlo & Friends is taped. 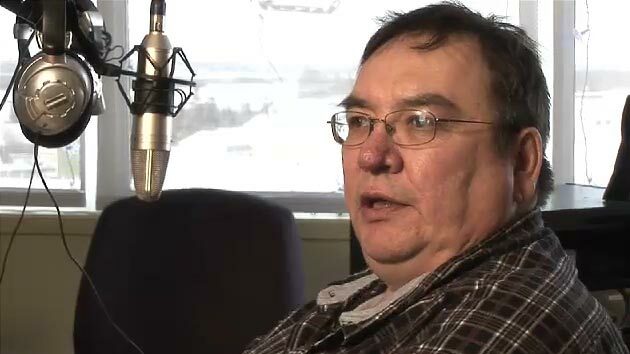 The radio show is aired in the nine Cree communities. Over the last three years, the team has put out 83 shows, about one every two weeks. Lawrence Jimiken, Coordinator – Monitoring Committee, and Director – Niskamoon Corporation shares an anecdote while visiting the Eastmain workcamp hatchery with his wife. 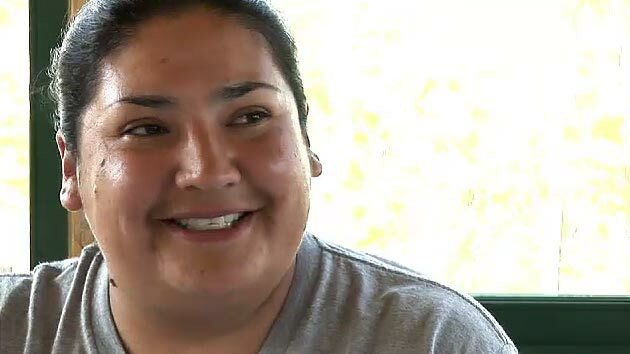 Sylvanna Weistche knows all the steps involved in preparing cisco, from how to dry it to the various ways to cook it. 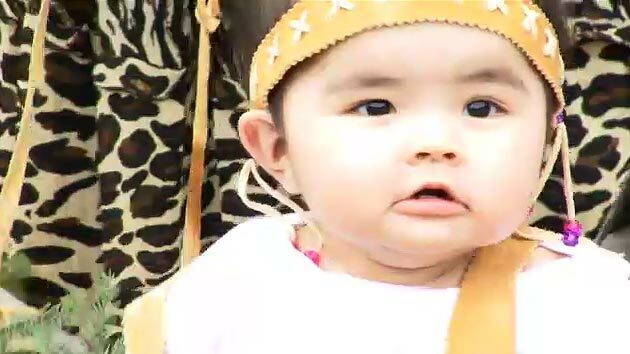 Following in the footsteps of her parents, grandparents and great-grandparents before her, Sylvanna is carrying on a time-honoured tradition. 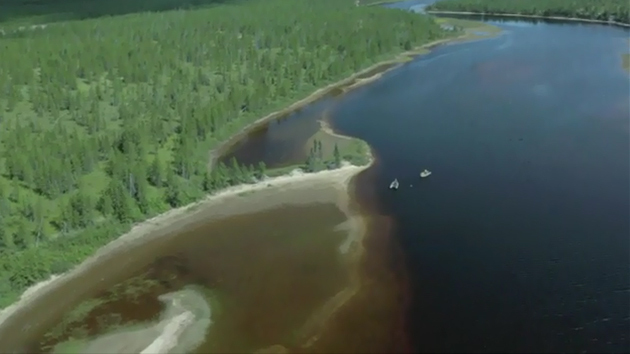 The results of the studies done on the cisco population in 2010 and 2011 show that the partial diversion of the Rivière Rupert in 2009 has had no impact on the abundance of species at the Smokey Hill fishing site. Although the fish are still there, however, they still have to adapt to their new environment. 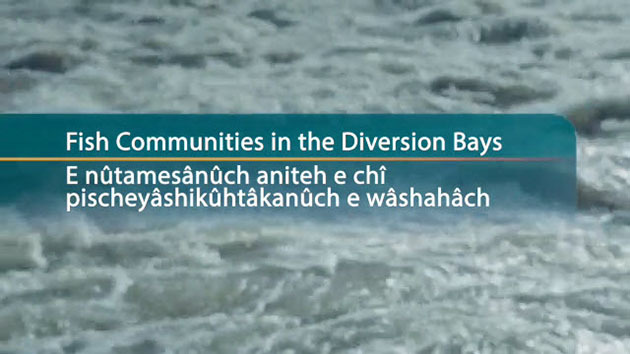 This poses a challenge for the fishermen of Waskaganish, who must re-learn to "read" the river to find the fish. The cisco like you have never seen it! Learn about cisco-related activities, including how pools are built, how dip-net fishing works, testing of a new fishing technique and upstream migration as filmed by underwater cameras. Training in swift water rescue is offered to those who work on the banks of a river. Making the right decisions and looking out for your colleagues: this training can prove very useful both at work and when fishing. 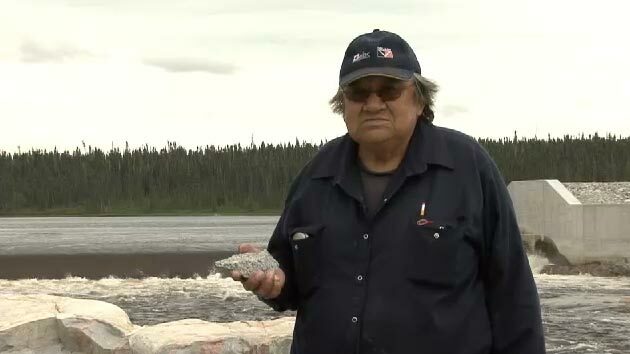 Smokey Hill: Traditional Knowledge – Cast in Stone! Scoop-net fishing is a traditional activity among the Crees. At the Smokey Hill fishing site, people use stones and rocks to create pools and then fish them with scoop-nets. People of all ages gather at this site every year, from August to September. 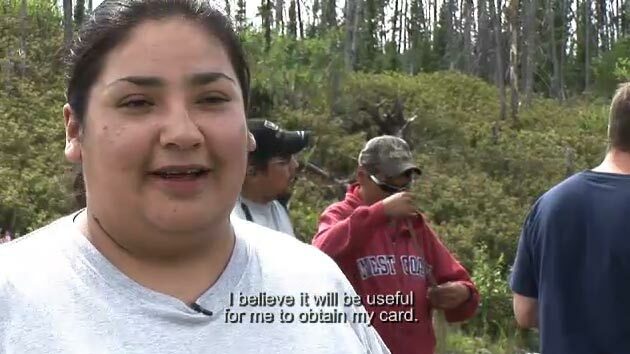 It's a great opportunity to pass traditional knowledge on to the younger generations. 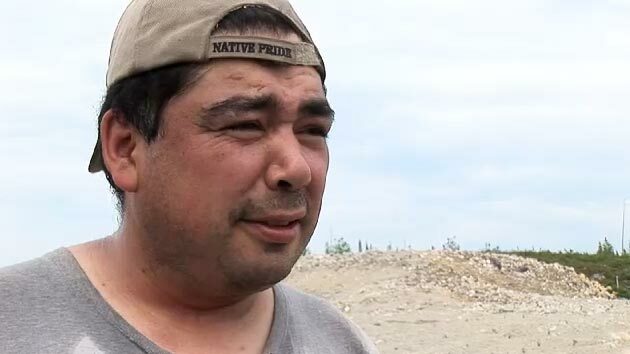 On tallyman George Neeposh’s territory, men are planting seedlings to restore an old quarry. The dry soil makes the job more difficult. The best way for workers to stay motivated is to joke and laugh together. In tallyman Marco Voyageur’s sector, signs are installed on the banks of the Rupert to improve the safety of users. 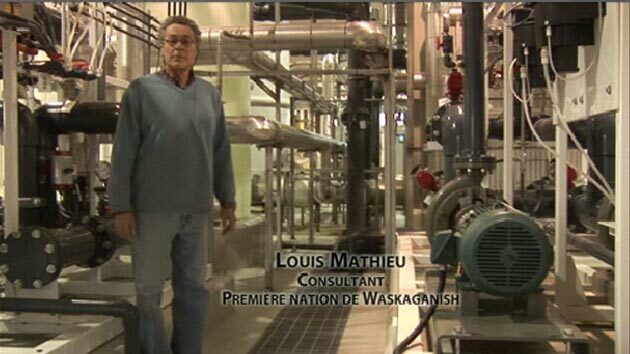 The new drinking water plant at Waskaganish was commissioned on November 2, 2009. It will meet the community’s needs until 2025. The partial diversion of the Rupert posed major engineering and environmental challenges. Downstream of Rupert dam, five weirs, two spur dikes and one rock blanket were built. These eight structures make it possible to maintain the level of the river along nearly half its length. Great teamwork! At the Centre de formation professionnelle de la Jamésie, students are trained in civil engineering. Like a family photo album! Friendship and bonding bringing together Adam, Alfred, Camille, Carol, Daniel, Donna, Françoise, Gilbert, George, Harry, Heather, Isaac, James, Jane, Josie, Kevin, Llyod, Margaret, Morley, Pascale, Robbie, Robert, Sidney, Simeon, Thomas, Tommy, Victoria, Walter, Wanda and many others. 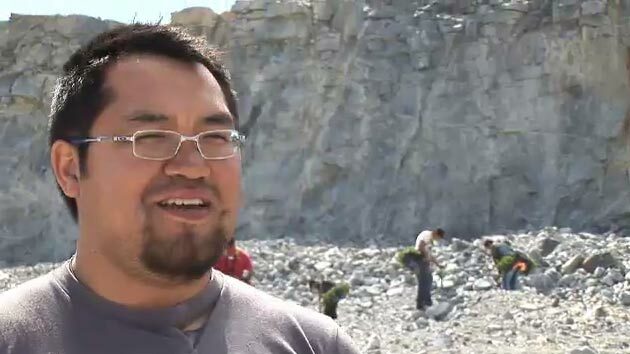 On October 8, 2009, the Tommy-Neeposh lookout was inaugurated. Nearly 80 people attended, including some 40 members of the Neeposh family. 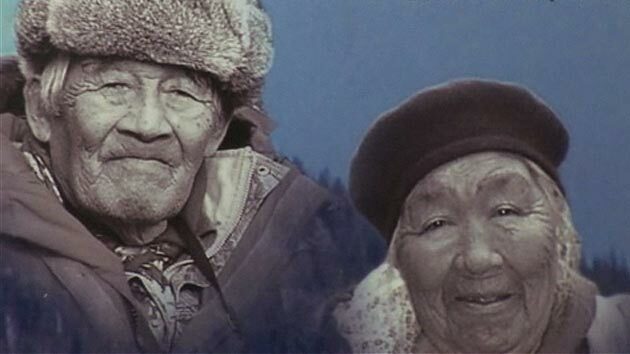 Tommy Neeposh, who passed away in 2008, shared his love of the land with his family and with other hunters and trappers. 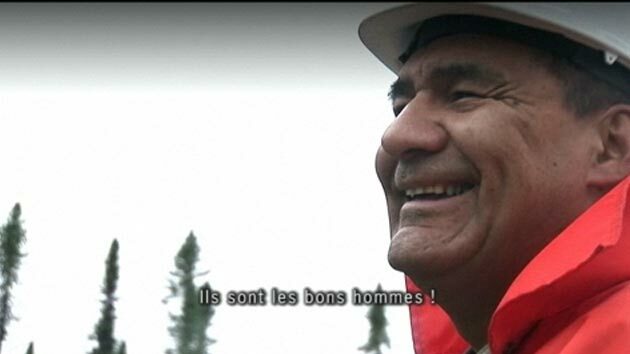 This generous man also proved his openness by allowing the Eastmain-1-A/Sarcelle/Rupert project to go ahead. To show its gratitude, Hydro-Québec named the transfer tunnel after him. The Eastmain-1-A/Sarcelle/Rupert project has impacts on fish habitats. Protecting them is important. Spawning grounds, weirs, fish passes and other structures were set up to compensate for the losses caused by the construction. Where do fish live? Where do they spawn? The tallymen certainly know a lot about the land. Their invaluable collaboration helped us identify the most important fish habitats to protect. They are also participating in the implementation of mitigation measures and environmental follow-up studies. Watch the birth of sturgeon larvae. See them grow in pools. Witness their return to the Rupert. The hatchery located at the Eastmain workcamp can produce up to 10,000 young lake sturgeon every year! The goal of the lake sturgeon enhancement program is to produce at least 5,000 young lake sturgeon annually between 2008 and 2012. Why does water flow through the spillway? At Rupert dam, the river keeps flowing. 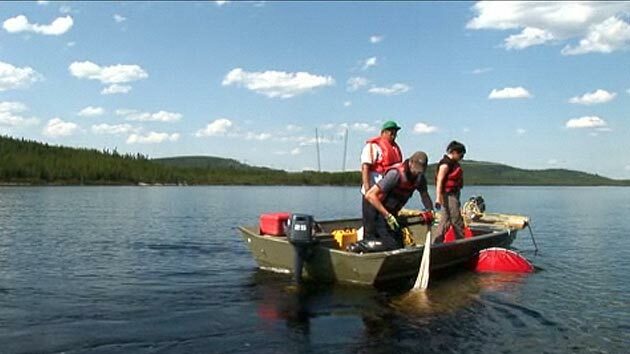 Under the Boumhouman Agreement, Hydro-Québec made a commitment to ensure that the people who use the river can continue to hunt, trap, fish and navigate. This also helps fish to spawn, which is good for everyone. That's why water keeps flowing through one of the gates all year long. This is called an ecological instream flow. We have class! The opportunity is yours! Highlights of TEHQ students and graduates. Watch and listen as they share their experiences and invite you to plan your future. 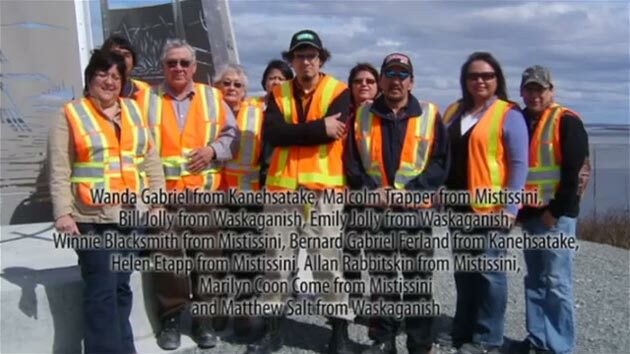 They came from Waswapini, Mistissini, Québec, Waskaganish, Eastmain, Kanehsatake, Chisasibi, Nemaska, Montréal, Pikogan… They pooled their talents and energy to carry out a huge project, and in doing so, they created unique ties. How did people live, before? Knives, tools, gun parts, axe heads, utensils, glass beads, canoe parts… From 2002 to 2010, archaeology teams conducted digs on more than 275 sites affected by the Eastmain-1-A/Sarcelle/Rupert project. Their job was to find, identify and describe any traces or vestiges of life in the past. The objective was to preserve Cree heritage and better understand the lives of the people who occupied the land over the past millennia. Many Crees and their families took part in the field work. In summer 2008, vegetation clearing intensified in the Rivière Rupert sector. Strong and energetic men at work. A change of plans: let’s talk! Meeting at the Nemiscau workcamp to inform the communities of Nemaska and Waskaganish on upcoming work in their areas and the workcamps it will require. 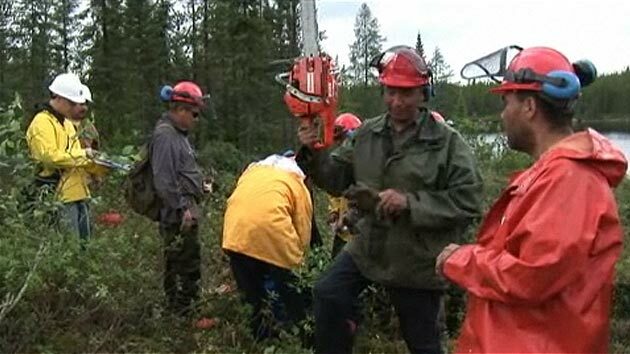 In spring 2008, students had a class in first aid and training on the safe use of chainsaws. On October 30, 2008, some 50 people gathered for the unveiling of a monument near Eastmain 1 reservoir. 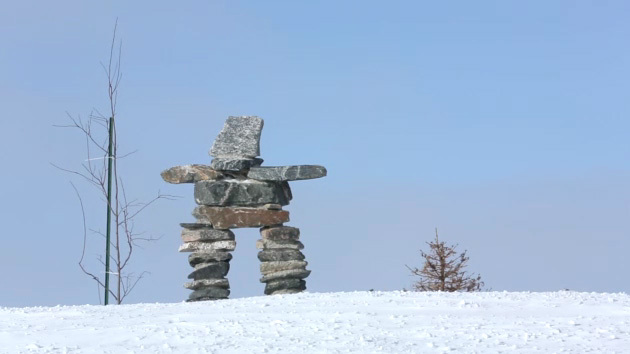 The monument Iiyiyiu Iinuu honors the Aboriginal peoples and the land from which they have lived for thousands of years. It also pays tribute to the dead whose graves were submerged during the reservoir impoundment. 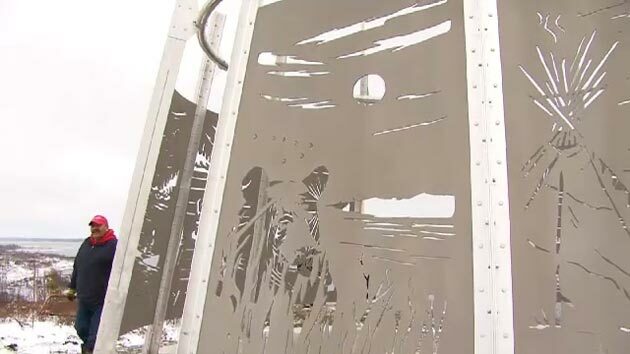 The monument has six panels representing each of the six communities affected by the project: Mistissini, Nemaska, Waskaganish, Wemindji, Eastmain and Chisasibi. On June 18, 2008, a sabtuaan was inaugurated at the Rupert workcamp. Many Crees work at the construction sites, and we wanted to facilitate their integration. The sabtuaan provides a familiar gathering place where they can cook traditional meals. Workers of all origins are welcome, and this contributes to a good quality of life at the construction site. Many Crees worked at the Eastmain-1-A/Sarcelle/Rupert construction sites. 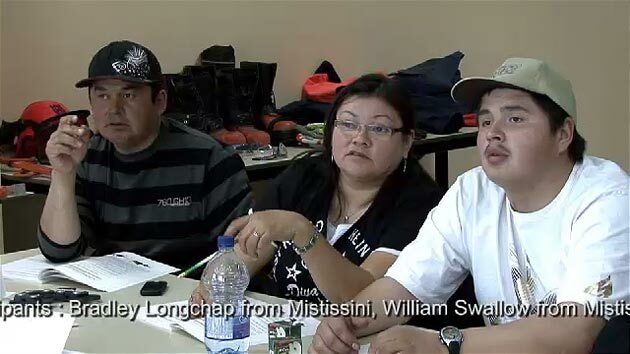 At the peak of the work in 2008, there were 434 workers, mainly from the communities of Mistissini, Waskaganish and Nemaska. 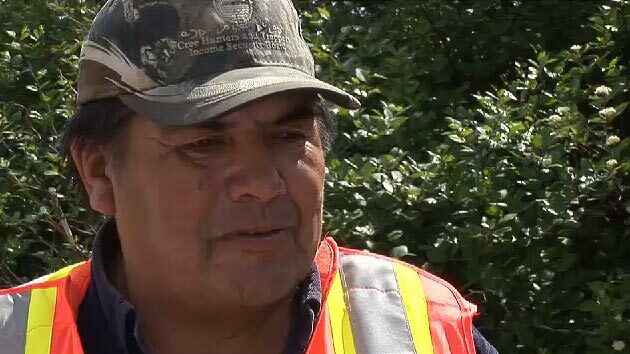 Johnny Saganash explains that despite the language barrier, workers from both cultures managed to find common ground from which to work. Tallyman Tommy Neeposh and his son Jimmy, talking about the future with optimism: "for every problem there's a solution–never give up!" 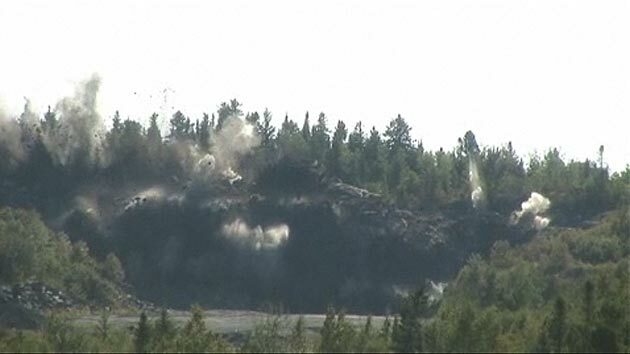 In September 2007, students learned the secrets of drilling and dynamiting at the Centre de formation professionnelle de la Jamésie in Chibougamau. In 2007, work began on clearing vegetation from the areas that would be flooded by the Rupert diversion bays. 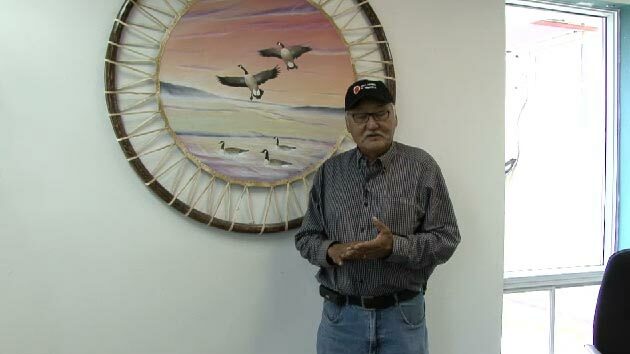 Several contracts were awarded to the affected tallymen, and Cree businesses also obtained major contracts. Vegetation was cleared to facilitate navigation and access to lakes and rivers. Comments about this video ?